Here's a super easy appetizer recipe that my kids absolutely love! I first began making this when I was selling Pampered Chef about 10 years ago. I use their Scalloped Bread Tube to bake my bread in but you could use any hors d'oeuvre-sized bread for yours. (optional)Bake french bread in a metal bread tube according to package directions until lightly browned. Cool and slice bread. Mix cream cheese, dill, and garlic in a bowl until well blended. Peel (if desired) and slice cucumber (I used Pampered Chef zester/scorer to make lines down the sides). Spread cream cheese mix onto bread and top with cucumber slice. I also sprinkle dill on top. Keep chilled until ready to serve. 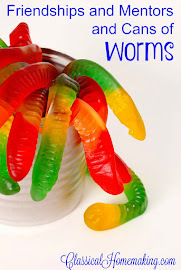 Thanks to Peggy at Good Recipes Online for featuring these in her recipe round up! These Irish Buckeyes are a super yummy treat! 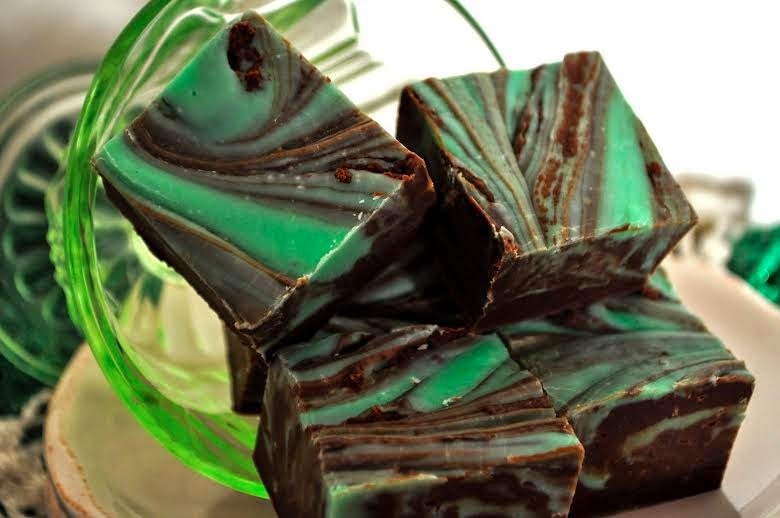 You'll get lots of compliments with this easy Chocolate Vanilla-Mint fudge! Hi Sarah, thanks so much for the feature. Such a nice surprise! I am heading to bed so I will add your button tomorrow. Hope to see you at SYC. Thanks for hosting, Sarah - have a wonderful week! Thanks Sarah for sharing this recipe and for hosting the fun party! I like the look of your blog and your matching button! If you feel like changing it, then change it, if you don't want to change it then don't. Who would have to do the work of changing your blog, you or your husband? Also ask him what his ideas are for changing it, you might like the idea. After years, I finally have my blog the way I like it (Aside from an off-centered header I don't know how to fix)so I probably won't be changing mine anytime soon, however every once in a while I'll go in and tweek it here and there, but it seems to take forever! Now, if I could just figure out a design for a button! Your cucumber dill flowers are adorable! Love the blue chair feature and your treats are adorable. Thanks for hosting! Thanks so much for hosting!! Great feature!! Thank you for hosting dear Sarah. Happy St. Patrick's Day weekend. I came by to post yesterday and couldn't b/c that was last weeks. So, now I'm on time! On changing your background? I have always changed mine up quite regularly. I'm using a header and background now from one of the blogs I closed and redirected to my main blog and chose to use the header/background of that one so it's easily recognized. 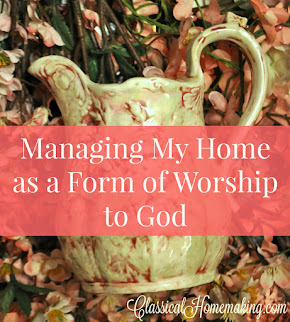 I enjoy changing mine up and seeing changes that other bloggers do as well. Enjoyed reading your post of last week and today. PS - If you make yourself a test blog (private viewership to you only), export then import your posts to your private blog - you can try your changes there before you publish them. Sometimes that works for me and sometimes it doesn't. But I do have a test blog for that reason. Love the feature and the recipe looks wonderful! I may have to try that this weekend. I love seeing a new look on blogs. Makes it seem fresh. But that wouldn't be a surprise huh? 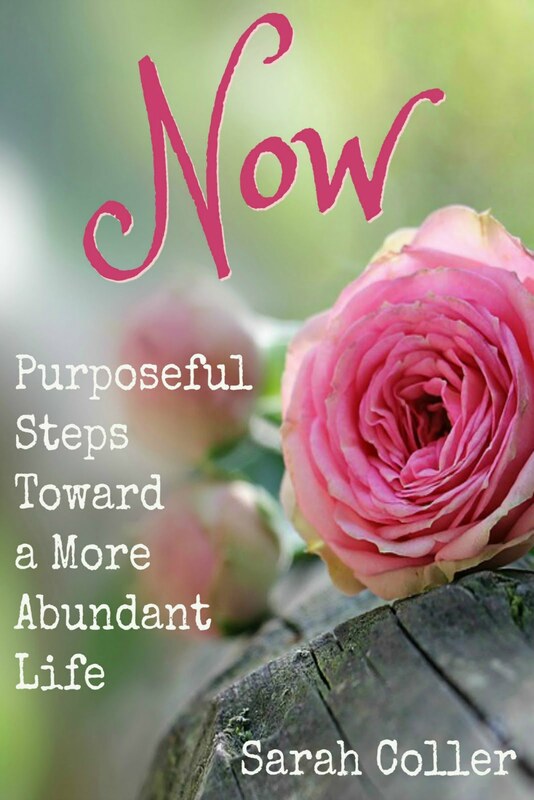 I'm sharing a super giveaway this week. Thanks for hosting! PS on the blog changes. Make sure you backup your template and your blog before you make changes. I know where that use to be in Blogger but if you need a word of help - holler b/c I still have my blogger account and can verify where it is for ya. 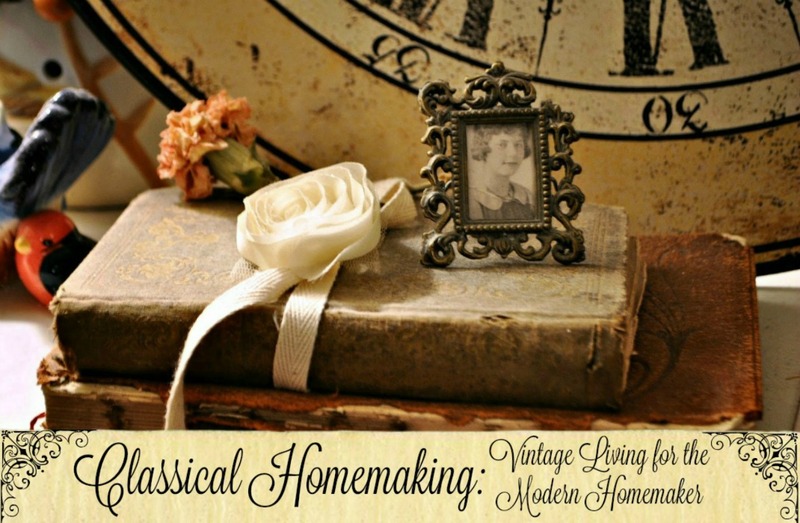 Sarah, I am so glad to see your Homemaking link doing do well. I never have anything to contribute or I would join you. If I could and knew how, I would change my blog looks often. It is I just do not know how. A friend paid for the one I have as a gift sometime ago. I may try to find a way to change later on. Your cucumber-dill flowers & fudge look delicous. Thanks for sharing. Everything looks so delicious. Sounds like a lovely link party too. I think I'll join in. Happy pinks and St. Patrick's too. I just stopped by your blog!! It was great and the food on here looks fantastic! It's your blog, so it's your choice. I changed my blog look last year primarily because I felt like it needed a change. I reached the point that I was bored with the look and feel as though I am getting bored again. Brenda from Cozy Little House changes her look more than any other blogger I know. She did however bring back the image of the little red house because some readers were missing it. I do like the owls and the little squirrels on your site. Hi Sarah, I’m Anne from Life on the Funny Farm (http://annesfunnyfarm.blogspot.com), and I’m visiting from the Creative Home Acre Blog Hop. 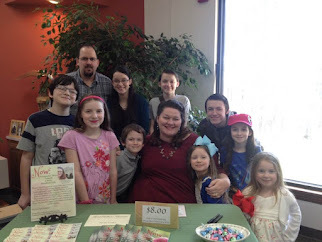 Love your blog, What a beautiful family you have! Now I'm off to find a post to link. Looks like a lot of fun links for this week! Enjoy! Sweet hugs! I love change! I think your blog is very cute, but if you are leaning towards changing it, then it is probably time. Can't wait to see what you come up with! I say go with your gut! I haven't changed mine in a couple of years, but I had such a hard time deciding what I wanted that I have no desire to go through that again for awhile, lol! However, I heard that if you change your bloggy button then the old code becomes obsolete, which means people won't be able to click it and find you from someone's else's blog. Don't know it that's true or not. You have a lovely large family! How blessed you are. I always wanted at least six to eight kids but the Lord only blessed us with two. 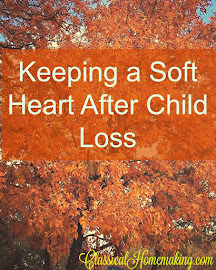 I went ahead and linked up today and put your button at the bottom of my post. I am also your newest follower. :) Thank you for hosting today! Love cucumber and dill! These look like quick and yummy appetizer idea! The cucumber flowers look yummy! I like the way your blog looks now...but if you decide to change it I am sure I'll like whatever you do! Those little cucumber sandwiches are really cute and sound tasty. Thank you for sharing at my HOME and have a nice weekend. Your blog looks marvelous - I did a lot of checking out color combinations, etc...before I changed the look to my blog and I couldn't be happier - it reflected exactly what I wanted - so, for you - what you like should be what you do - what you want others to remember you by. Wow...the cucumber sandwiches look amazing! omgoodness, nothing goes better together than dill and cucumber, those little sandwiches look soooooo good!!! and that fudge looks like the perfect ending to a st. pats party!!!! Thank you for sharing with Roses of Inspiration. Please know that this post will be featured at the party this coming Tuesday. Hugs! Hello, Sarah! Visiting from Stephanie's blog. Hi Sarah here because of Stephanie's post, nice to meet you. 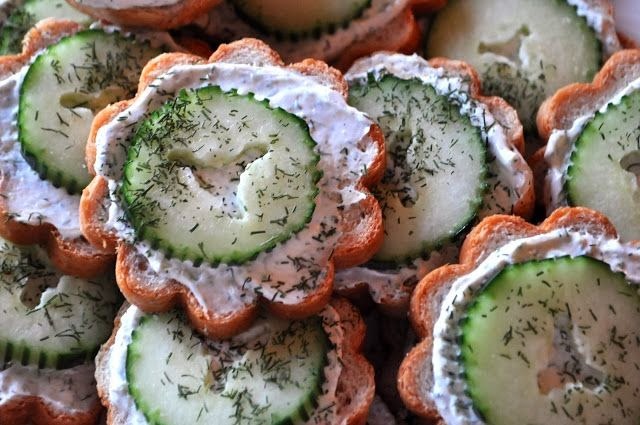 Pretty cool looking appetizer, love cucumbers and dill so I'm definitely making this recipe! Thanks.